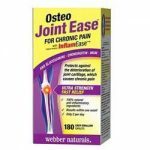 Osteo Joint Ease Review – Is This Product Safe To Use? What is Osteo Joint Ease? Osteo Joint Ease is a brand of health supplement that helps deal with chronic joint pain in only a matter of seven days. What are the Ingredients Used in Osteo Joint Ease? What are the Pros of Osteo Joint Ease? What are the Cons of Osteo Joint Ease? Its all-botanical formulation contains both tried and tested materials known for their contribution to better joint function as well as natural ingredients that are newly discovered to be effective in promoting joint health. The manufacturer thinks Osteo Joint Ease works better than other brands because of an ingredient called InflamEase, which is expected to alleviate swelling in the joints. Customer reviews and clinical trial results are not published on the official Osteo Joint Ease website, and ordering the product through this portal is not possible as well. The formulation of Osteo Joint Ease that supposedly reinforces and heightens joint strength includes Glucosamine, Chondroitin, and MSM, and all three are common to many joint health supplements for their proven contribution to joint health. Osteo Joint Ease also contains InflamEase and collagen. Other ingredients are listed on the manufacturer’s website, and although it is not possible to order the product through their online portal, they provide a store locator to help users find out where to buy Osteo Joint Ease locally. The recommended dosage of Osteo Joint Ease is two capsules a day. If it is regularly followed for a month, optimal results are expected, but users can already witness a slight change after a couple of days’ use. The ingredients included in the formulation of Osteo Joint Ease and how they are clearly explained on the product’s website might be enough to impress most consumers, but the absence of scientific evidence to back up these claims may turn smarter online shoppers off. First-time users usually rely on customer reviews to aid their buying choices, and the lack of testimonials written about the product can be discouraging. Those who expect to be able to buy the product through the manufacturer’s website will be disappointed. However, the store locator on the site enables people who see that the product contains strong materials and are willing to give Osteo Joint Ease a shot to buy the product locally.